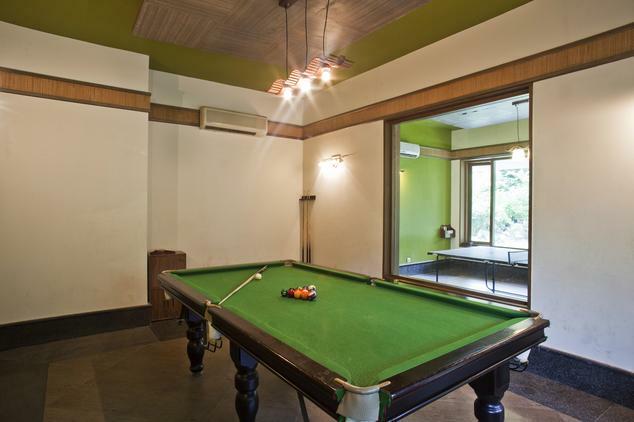 The Corbett Hideaway is located 260 km away from Delhi in the Garjia village of Uttarakhand. 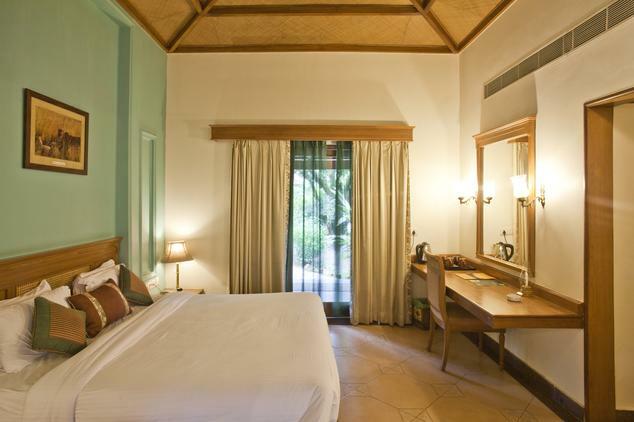 This three star hotel is set amidst 13 acres of gardens and is covered by a thick groove of mango trees. 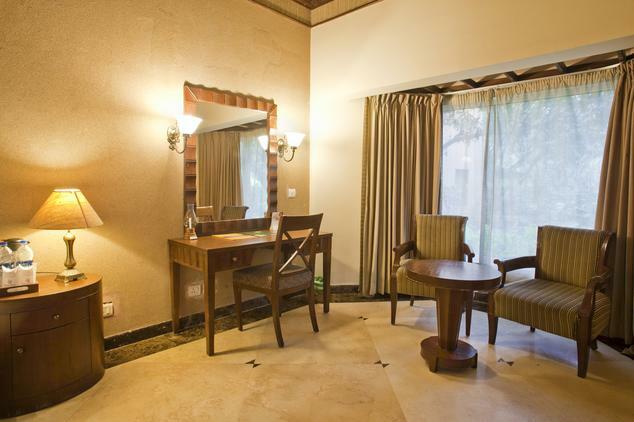 The hotel is 13 kms away from the Chennai International Airport and 11 kms away from the Chennai central Station. 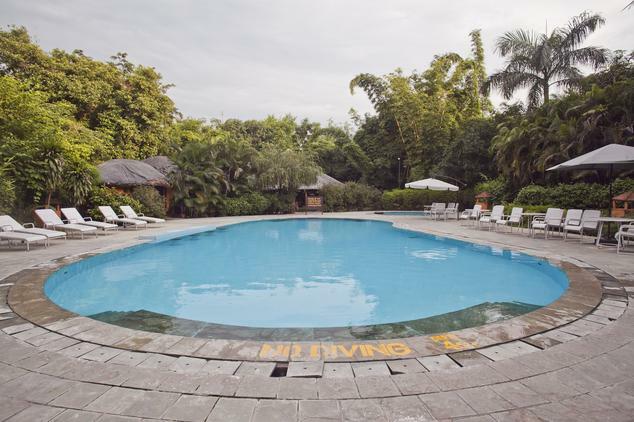 The hotel also has many recreational spots such as the swimming pool, tennis court and a huge library. The hotel also arranges sport fishing and safari rides. 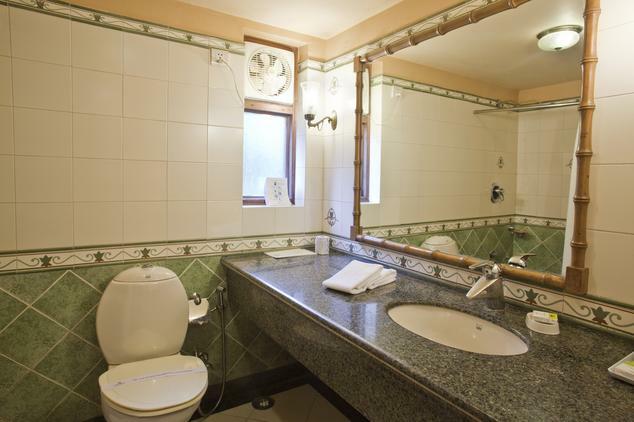 Other facilities of this hotel are free parking facility, internet access, laundry service, taxi service, dedicated front desk, railway and airport transfers and a travel desk. 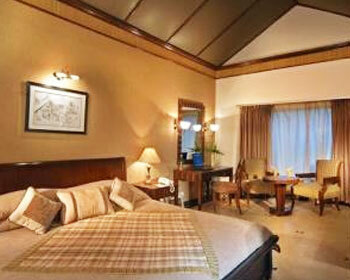 The hotel has 18 deluxe cottages and the room is an appropriate buy for people with low budget in mind. 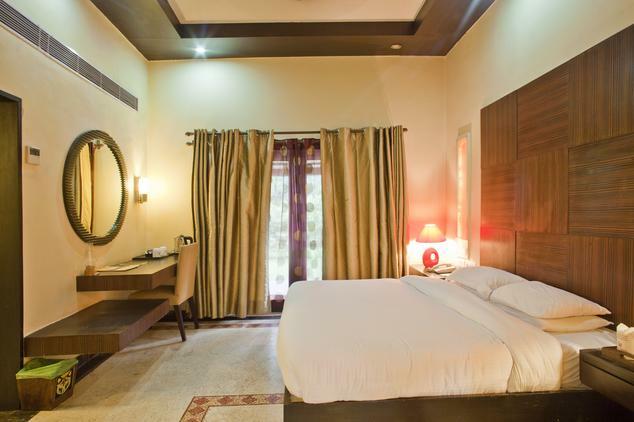 This hotel cottage comes with all the modern amenities to make your stay comfortable. 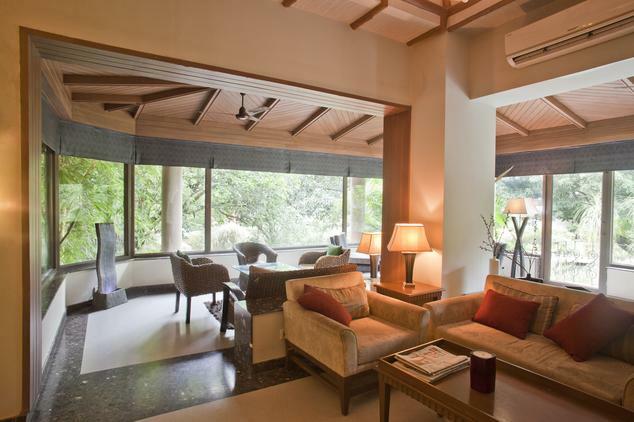 The patrons of this cottage are also provided with wooden chairs and a glass top coffee table, which is an ideal spot to enjoy evening tea or morning coffee with loved ones. The interiors are done completely in wood and look spectacular.The en suite bathroom comes with a shower cubical and a deep sunk bath tub. Other amenities of the room include a color television, hair dryer,full length mirror, direct dialing telephone and an electronic safe. Designed with an eye for elegance and luxury the Suite is the best cottage accommodation provided at this hotel and the cottage comes decorated with some beautiful artifacts and paintings. 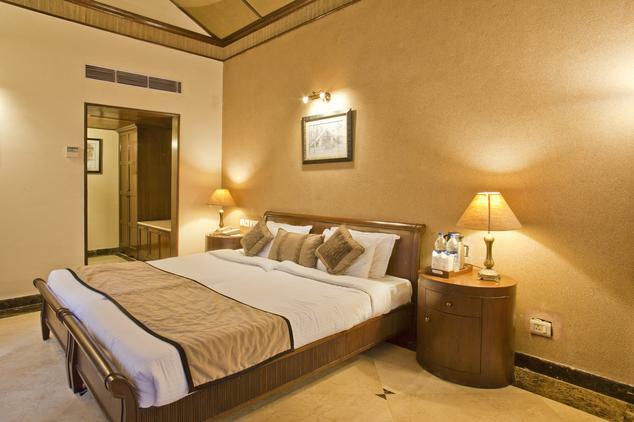 The master bedroom has a huge king size bed which comes decorated with colorful fabrics and pillow cushions, ideal to put one off to a good night’s sleep. 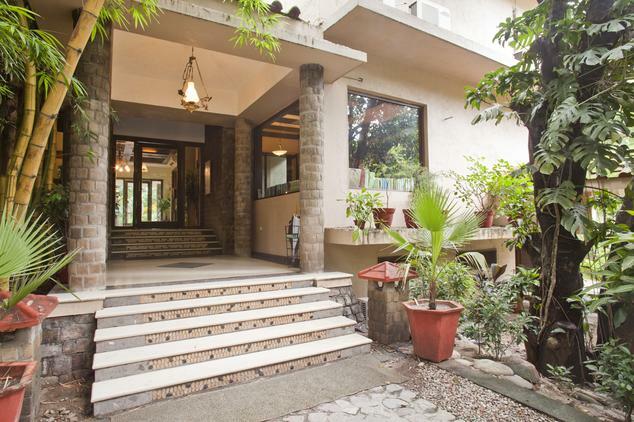 There is also a private balcony which is furnished with a couple of chairs and a wooden table. Some of the other basic amenities of this room include a minibar, color television, safe, air conditioning and a direct dialing telephone. The guests of this cottage are also provided with a daily newspaper. 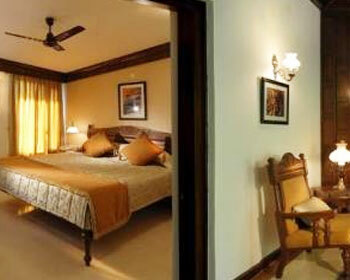 Claridges Corbett Hideaway has a number of air-conditioned cottages. The independent cottages have sloping tiled roofs and stone floors. 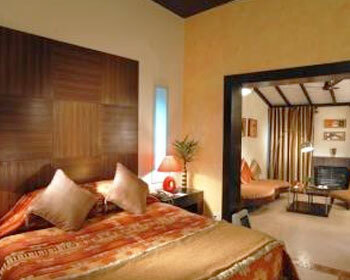 The rooms are furnished with rugs and block wood furniture. There are separate living and sleeping areas within each cottage. Each room has a tea/coffee maker and an attached bathroom. 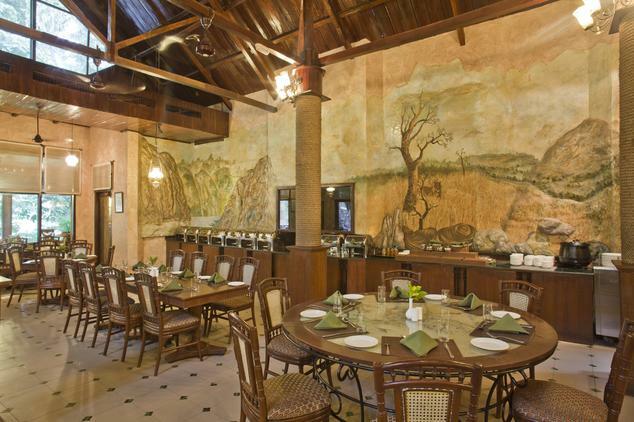 Named after the house of Jim Corbett, Gurney House is a multi-cuisine fine dining restaurant of the hotel.The restaurant serves a variety of finger licking dishes from the Indian, Chinese, Continental and Mughlai delicacies. 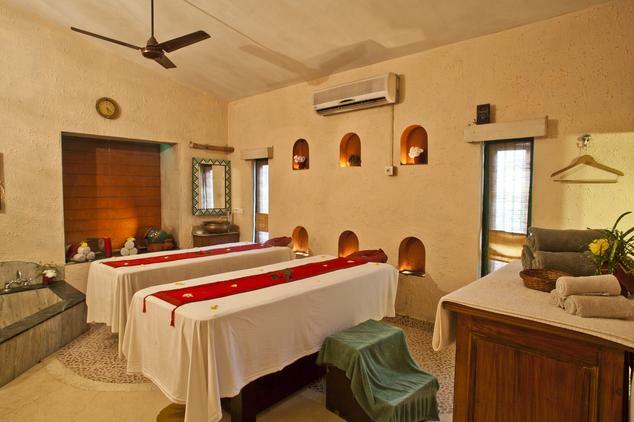 The place specializes in Kumaon and local delicacies. This is the barbecue station of the hotel and is set just next to the spectacular swimming pool. 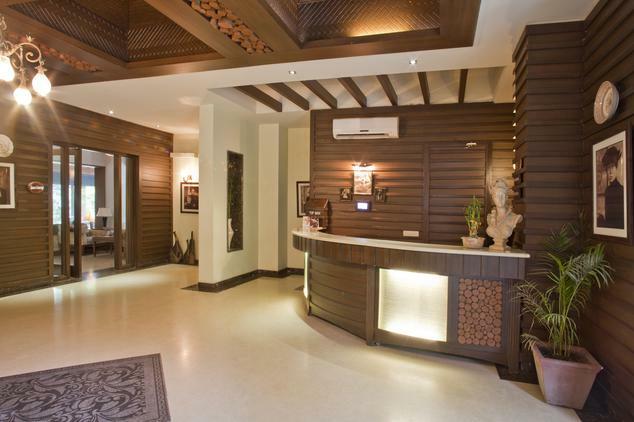 This place serves some mouthwatering kebabs and Mughlai delicacies. It is an ideal place to spend some time in the evening. The Tusker bar is located next to the swimming pool. This tastefully decorated bar has liquors and wines from different corners of the world. The place serves some of the best cocktails and mocktails.